Bangladesh Railway is the responsible organization which is liable for all types of train services in Bangladesh. Though the history of Railway is about more than 140 years old in our subcontinent but Bangladesh Railway established in 1971. At present, you can visit all division except Barishal by train. Bangladesh governtment takes initiative to visit Cox’s Bazar by Train. If you want to visit Narayanganj, you can also visit through the Dhaka to Joydebpur Train. I have made a separate post about Dhaka to Joydebpur Train Schedule. Check it here. Intercity trains run accross the different city of Bangladesh. Almost all the city covers by Bangladesh Railway. There are several train available from Dhaka City. From Dhaka City the train available on the following route. 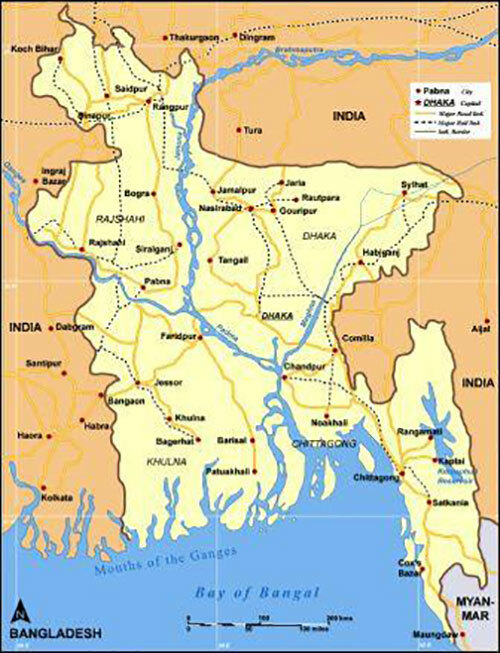 Beside this there are many trains which runs from different districts of Bangladesh. We are here made a short list of all train with their details. If you are in Chittagong district , you can also visit from Chittagong by train. Here is the List of destination you can go. If you are looking for the all Bangladesh Railway Schedule we are here to help you. We have created a PDF file which will help you to find all Bangladesh Railway Train Schedule. In this pdf, you will get all the train schedule at one place. In the following video i have added a overview of pdf and train Schedule. Beside this, there are numerous trains which run across the city of Bangladesh. There are many mail train, the commuter train is available. We will update the post very quickly. Keep in touch with us. There are many varieties of seats in Bangladesh railway trains. So the ticket price also varies on the base of seats quality. Bangladesh railway mainly maintained two types’ services. Non air conditioned and air conditioned. Shovan, Shovan Chair, First Class Seat, First Class Chair, and First Class Berth these types of seats are available in non air conditioned. On the other side AC Berth, AC Seat and Snigdha are available in air conditioned. So Bangladesh railway ticket price also varies according to their services. This is all about Dhaka to Chittagong and Chittagong to Dhaka Train Ticket Price. 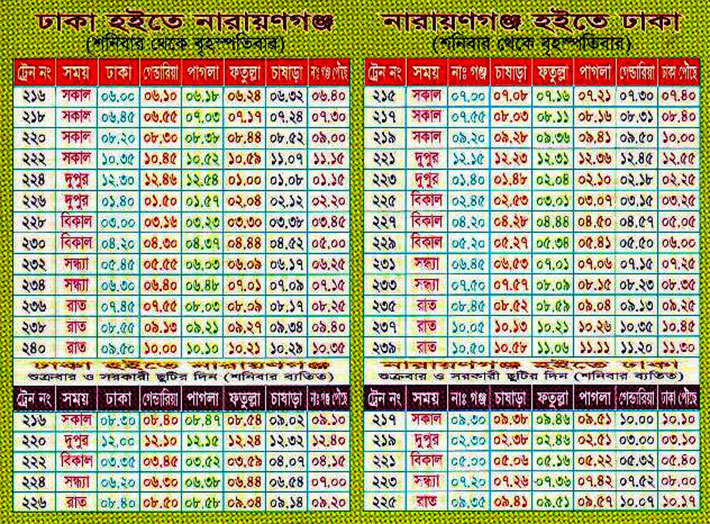 Here I have added Dhaka to Sylhet Train Ticket Price of each train. Two train services are available for Chittagong to Sylhet train route. Paharika Express and Uddayan Express these two trains are for this route. Now I’m going to discuss about Chittagong to Sylhet Train Ticket Price. From Chittagong to Sylhet Train, there have no a/c services. Dhumketue Express has also three seat service with one air-conditioned sitting service. The price for each seat service of this train are in the list. There is also one train service is available in Dhaka to Sirajgonj train route. Only Sirajgonj Express travels on this route. Sitting service quality is not also so well in this train. Only two types of seat services are available. They are Shavon Chair and Singdha. Dhaka to Khulna train ticket price varies with the quality of sitting service of each train. Only two trains travel on Dhaka to Khulna train route. They are Sundarban express and Chittra Express. For traveling on Rajshahi to Khulna Train route there has also two intercity train services. Kapotaskh express and Sagardari Express are both. Bangladesh railway train ticket price is distinct based on the distance and services.